Thacher’s Island is a rich part of Rockport Massachusetts pastimes that should be celebrated for its stories that have added to Rockport’s historical past. Thacher’s islands famous lighthouses were built in 1771, due to a request from John Hancock. John Hancock had many vessels around the Cape Ann area so he had the power to request a change to the island that had taken so many lives. His request was started as a petition that many citizens signed because of the numerous crashes around the area. After a speedy building phase, the lighthouses were completed as the 9th and 10th in North America and 3rd and 4th north of Cape Cod. They were also the last lighthouses built under British rule. The island was named after the famous fisherman Anthony Thacher, an Englishman whose vessel, The Watch, and Wait was wrecked in a ferocious storm near the island in 1635, on its way to Marblehead from Ipswich. The only two survivors from the crash were Thacher and his wife Elizabeth, who was 21 years old. Others, including four of Thacher’s children from a previous marriage, died in the wreck, and his cousin, Reverend Joseph Avery, died along with his wife and six children. Despite this tragedy, it was not the last of the crashes; many more deaths were sustained before the final building of the lighthouses in 1771. Ever since the building of the two lighthouses, many boats have been redirected and saved. When looking at Thacher’s Island a few things stand out. Thacher’s island is most recognizable because of its features of Cape Ann due to its distinct uniqueness. 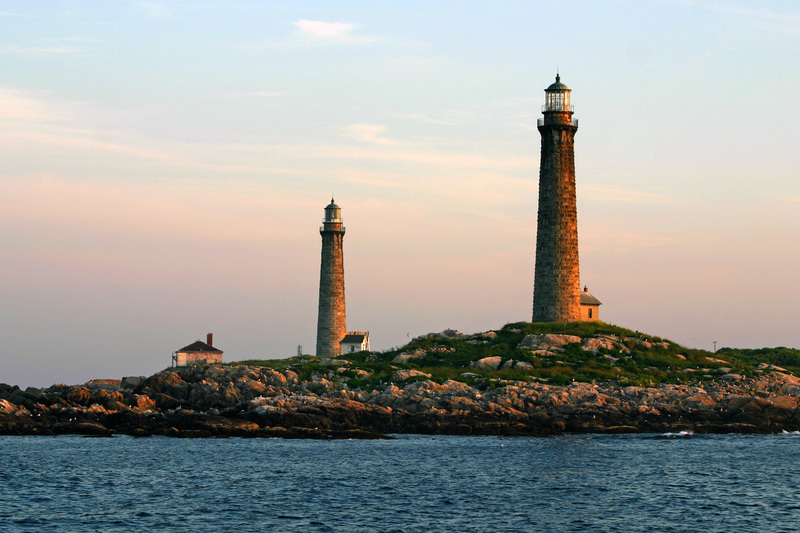 The 54-acre island consists of two lighthouses built 300 yards apart and 45 feet tall. 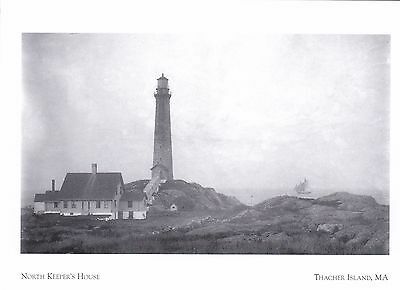 The island goes by many names such as Thacher’s island, Twin Lights, and Anne’s Eyes. Many lighthouse keepers have gotten their name in the history of the lighthouse since 1771. Although the lighthouses are some of the oldest landmarks in Cape Ann, there have not been the drastic island changes that most lighthouses have gone through. A house was built on the island in 1816 and to this day the same house stands strong with almost no adjustments. The fact that this home has withstood so many storms and hurricanes shows the grit of the workers, doing anything possible to keep their home safe. Thacher’s island has gone through thick and thin when it comes to northeast storms. Despite the safety provided by the lighthouses, not all crashes were avoidable. In 1876, a freighter carrying approximately 800 tons of coal struck a submerged vessel. On the bright side, Cape Ann citizens saved lots of money on heating, as they salvaged 500 tons of coal from the wreck. The worst storm to hit Cape Ann came in November of 1898. The storm hit especially hard to the lives aboard the Portland. The boat lost 200 lives when it was lost just a few miles off the coast. Why the Twin Lights Tribune? Due to the disturbing past of the island, I recently caught up with one of the co-founders of the Tribune and asked him the urging question of why this group decided to name the school newspaper after the lighthouses. “It signifies our community and school locked together as one another living on one island,” stated ninth grader and editor for the Twin Lights Tribune Patrick Morin. Over the years, Thacher’s Island has become worn down and there is fear that Thacher’s island will not maintain the beauty that it has kept since the 1700s. The Thacher’s Island Association was brought together to help maintain Thacher’s scenic trails, picnic and camping areas. It raises money for the lighthouses through merchandise, auctions, an annual lighthouse cruise, art, photography days, and donations. As a member of the Rockport community, I thought that it made sense to spread the word of one of our most fascinating and underrated attractions. If you also would find the generosity to help, just go down to the Rockport docks anytime from 9 am to 5 pm to climb the towers and view a site that you will never forget.